Should Joe Philben be fired? Baseball is a descending, outdated sport in a lot of ways. They did get one thing right though. In football, basketball, and virtually every other team sport, the word “Head Coach” is used. In baseball, this man is referred to as the manager, because that’s exactly what he is. It’s not about being the “head” teacher, game-planner, play-caller, etc. A Head Coach’s job is to manage; manage his staff, a game, his locker room, and every other aspect of the organization that relates to football. It’s his job to make sure that everybody is doing their job to acceptable levels, that the workplace is conducive to success, and to be proactive in making sure that the organization is running at optimal levels. Joe Philbin has been a poor manager of this team, plain and simple. The media has construed quite a story – with differing versions and interpretations – as they always do. It’s their job to turn every story into as big and complicated of one as possible, obtaining as many facts, some relevant, some not, to tell you why this is such a huge item. However, in all of this stories complexities and vague details, in all of its interpretations and opinions, there is a simple way to look at it, serving as a constant through all of these differing views: Joe Philbin failed as a manager. Under his management, an in-house problem turned into the biggest embarrassment in our franchise’s history. Never has this organization been the attention of national news outlets like this week for something so negative. Not when this team won one game in 2007; not when Nick Saban quit without telling us; not when we went behind our Head Coaches back to try and court a new one, only to fail and retain the now-unhappy Sparano; not when Ricky Williams retired to “travel” right before the 2004 season began. Never, not even during the mud pile of disaster that has been the 21st century, has this team sank so low. And it happened under the management of Joe Philbin. Regardless of the NFL’s findings in its investigation of management, there has to at least be vicarious liability. It is hard to imagine a scenario unfolding in the next 8 weeks that saves Joe Philbin’s job. Heck, with new details emerging tonight, it would not surprise me if in 6 days Miami takes the field without Joe Philbin. The reputation and image of this team under his management is tarnished; the perception is that this team is not capable of caring for his players. True or not, that should put him on boiling water by itself. Let’s take a look at the story as we know it. According to his report, Martin was unhappy and had thoughts of quitting football. Based on reports, it seems as though Martin was dealing with mental health issues; the severity is unknown of course, but a 2nd round pick who is a starting Left Tackle for an NFL team, heading into his second season, does NOT have these types of thoughts without something serious being wrong. This is not about being soft, or a baby; this is about having legitimate issues. How did Philbin handle this? As reported by the Sun Sentinel Tuesday night, Joe Philbin and/or the coaching staff responded to this by telling Incognito to “toughen Martin up.” According to the report, Richie likely went over-the-top and above the expectations of those orders. Richie left various threatening text messages and voice mails, including ones that used the “n” word, mentioned his mother, sexual orientation, and physical violence. Stories have also emerged about taking $15,000 from Martin to fund a Vegas trip, and other pranks in the locker room. Jonathan Martin then snapped after another prank, and handed all this evidence to the Dolphins. Miami then in turn suspended Incognito, left him out to dry in the media, and have been trying to clear their name in the past few days. 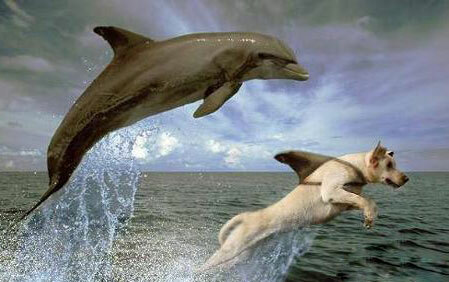 So after all of the ‘he said, she said,’ it appears as though the Dolphins were the real culprits. Is Incognito absolved of all blame? Of course not; he did go over-the-top in his “bullying”. However, his reputation has been completely tarnished, and unjustifiably so. The Dolphins trusted a person of Incognito’s background to carry out an order that directly resulted in this entire situation unfolding, and did this without any supervision. Then, after the situation blew up, they put everything on Incognito. As Adam Beasley of the Miami Herald has reported, a lawsuit from both Martin and Incognito is possible. In my opinion, the NFL will very likely punish the organization, possibly in the form of lost draft picks. Not only that, but this has already gotten to a point where the organization looks terrible. Stephen Ross has no choice but to fire Joe Philbin. Even if you are against firing him for this story, take a look at everything else that has happened. 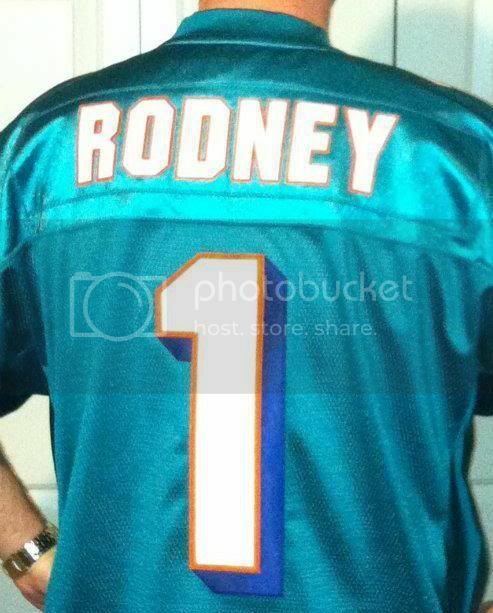 He had a player (Randy Starks) flip the bird at him during a game; an action that was caught on camera. He has had offensive players openly question him and his staff throughout the year. He has been unable to properly utilize weapons that have been explosive playmakers on other teams. He has preached detail, yet there was the “go-go” gate. What has Joe Philbin done to prove he is a competent NFL coach in these two years? Nothing. He needs to be fired. The only question is whether this situation provokes Stephen Ross to fire him this week, rather than at the end of the season. This story is not about Incognito. It’s not about Martin and his mental health. It’s about Joe Philbin not being able to lead or manage an NFL team. Plain and simple. Depending on what Jeff Ireland and Don Aponte knew, they are also very much on the hot seat. In my opinion, I think the Dolphins need to blow everything up. Start over. Get rid of every root from this dead tree and plant a new one. I’m tired of Band-Aids. I’m tired of going to the repair shop for a new transmission. For me, I am not voting yes because of this recent circus that the media has BLOWN UP. However, if Miami happens to take a nose dive for the rest of the season and the media keeps attacking, I think Ross may feel he has no choice, but to potentially clean house. I am not sure how I stand about Philbin, but all I know is picking out a few instances against the head coach is not enough for me to say, yeah fire him. Coaches are graded on their success and right now this is a 4-4 team with 8 more games to go. Also, none of us are there day to day to witness Philbin and his daily interaction with his players and coaches. It is easy to fall into the media trap of information whenever something negative happens. I am going to sit back and see how the next few weeks go and how Philbin handles the situation in front of him. Overall, I am sorry for Jonathan Martin given the fact that he is going through personal issues over everything and perhaps Philbin could have handled things differently, but again, none of us were there to know the truth. This will have to run its course, whether coach stays or goes. This whole thing sounds like Philben ordered a Code Red. The investigation isn't even complete yet. Talk about he said she said. Martin claims he notified Philbin of his troubles during OTA's last spring. Philbin stated that Martin did not raise this issue until last Sunday. So somebody is lying. I voted undecided as this is still being investigated. It's really hard for me to say "yes" or "no" to this because new info seems to come out every day. If things continue to progress the way they are I think Philben will be looking for an OC position in 2014 (or sooner). Great job J.P. I couldnt agree more.. It all depends on the next 8 games. Undecided. You got it Rich, it's all about winning. Seriously, no name has been reported about ordering Incognito to "toughen up" Martin. This type of accusation goes beyond football so you're being quite foolish and dangerous to assume it was Philbin. Wait until the evidence comes out stating he did. You base his firing on player performance. By your reasoning Sean Payton should be sitting at home because he couldn't manage the behavior of his suboridnates and players. Purposely trying to hurt people could be worse than what Incognito did. If this team rallies around one another over the next 8 games he keeps his job. The Team is 4-4 and at least on paper has a legitimate shot at getting a Wild Card Spot. If Philben's fired now, then I presume Coyle is the likely candidate to be the interim HC. Not sure that's a good move. I will note, I haven't heard any players come out in support of Philben...........they must realize he's in trouble. I voted undecided, but I'm leaning towards no, at least during this season. If we fire Philbin before the season is out, that means Mike Sherman likely takes over the coaching duties. I am DEFINITELY NOT in agreement with that. Yes, we are 4-4, but with a proper offensive coordinator and an ability to finish games, we're really 7-1. The Saints game is the ONLY GAME we were completely out of. As far as all this Martin / Incognito drama... that's not even in consideration for my opinion here. yes, just because he seems clueless. Why waste our time anymore. I say Philbin should stay. While the media is hyping this up, what it boils down to is two players had a big disagreement. And how much of it Martin shared with the team beforehand is questionable. It should have been handled better. Yes. But this entire situation is being overblown. Everything I have heard and read from players, former players and coaches is that it was more a failure of locker room leadership. Why aren't we talking about Wake getting cut for this? What about Tannehill? One of his offensive linemen was threatening the life and family of another and he didn't do anything about it???? Philbin is a second year head coach. He will learn from this and become a better head coach. I hope it is with the Dolphins. Last edited by degs on Wed Nov 06, 2013 4:17 pm, edited 1 time in total. I cant really say this indecent made this decision for me. When we blew the big lead and lost, I lost faith in this staff. I figured if we could win vs Cinci he could salvage it, however we blew another big lead, and the only reason we won was Coyle's D stepped up, and he dialed up the perfect blitz on that last play. Our offense still fell flat in the 2nd half. I'm more bothered by the signal calls giving away plays, Philbin saying he was unaware, and just all together unconcerned about it. I voted undecided....Still so much that needs to come out on this. Do I have questions about Joe Phiblin and his leadership ability, you better believe it. There are other things that I have concerns about as well. That said, it will depend on what other evidence comes out and if this team can keep it together going down the home stretch. Martin claims he notified Philbin of his troubles during OTA's last spring. Philbin stated that Martin did not raise this issue until last Sunday. So somebody is lying. I would say the man trying to save his job is the most likely liar. Can't think of a reason Martin has to lie about when he informed Philbin. I'm not sure what to think about Martin. Supposedly he brought the recording into the locker room afterward and was laughing about it with his teammates. Yet he is complaining about it now. Supposedly he was in on the joke of everyone leaving the lunch table. A week earlier he (again supposedly) was one of the guys walking away. Yet this is what set him off. I also read that Philbin acknowledged he was notified about the issue last spring, but thought it had been resolved and had not heard anything about it until Martin walked off. Why wouldn't Martin file a formal complaint, speak to the coach or let someone know it was out of hand before just walking off? I voted yes for the same reason as Rodney plus not knowing what is going on with his team. Is racist or was there any real malice to his messages, in real bad taste but that is all. I think more stuff worse than that goes on in the locker room. exactly, I heard the same things. Hartline and Clabo said those 2 were really close friends and that Richie treated him like a little brother. This whole thing smells fishy. And Martin checking into a hospital now....those lawyer parents of his are behind this. The man should not have been playing football IMO. Nobody in the Dolphin locker room is on his side of this. I voted undecided. I was just saying the signal calling giving away plays to the other team bothers me more than Incognito vs Martin. Agreed, if we keep winning he stays, if we don't he's gone and Ross has an excuse. I think you are jumping the gun big time on this JP. We only know what the media is telling/spinning for us. Let see what really happened when the dust settles.